IT'S FRIYAY! I'd be lying if I said I wasn't excited. I feel like this has been the LONGEST-WEEK-EVER. We've had rain, 70 degree weather, snow, and everything in between. I'm beginning to think Mother Nature is going through menopause or something, because girlfriend is a hot mess. With that being said, how have you been liking Middle Eastern Food Week? It's been fun doing an entire series of themed food like this. I love trying new things in the kitchen and working with different spices. 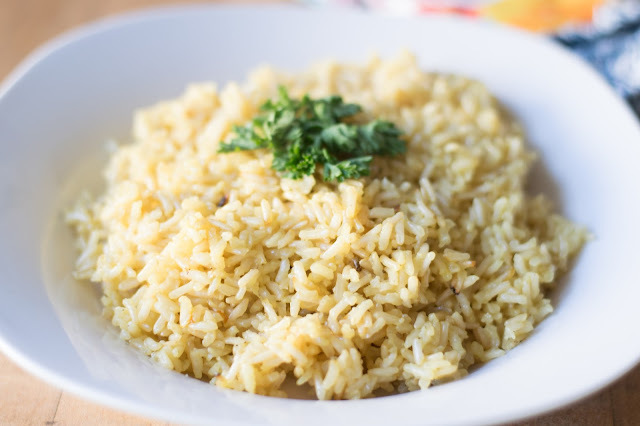 To begin you will need to add the rice, saffron, and if you are cheap like me, your boullion cubes to your pot. After that, add the salt, pepper, and garlic powder. Add three cups of water. Place over medium/high heat and bring to a boil. You should see the stock turn a really pretty yellow color. That's not the chicken broth, it's the lovely saffron working it's magic. Cover and cook according to the directions on your rice packaging. And there you have it! It's truly that simple. This Saffron Rice Recipe had such great flavor, and if I'm honest, I actually liked it more than the rice they serve at my local Lebanese restaurant. It's warm and rich, the perfect side for any meal, especially the Grilled Shawarma Chicken and Tablouli Salad. So get in the kitchen and give it a try TONIGHT! 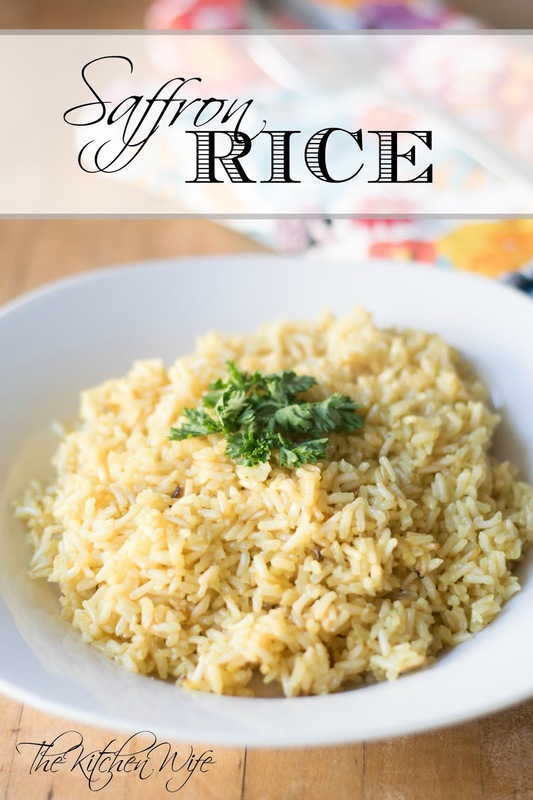 I hope you enjoyed this Middle Eastern Food Week and if you have any other food themed weeks you would like me to try, let me know in the comments below. 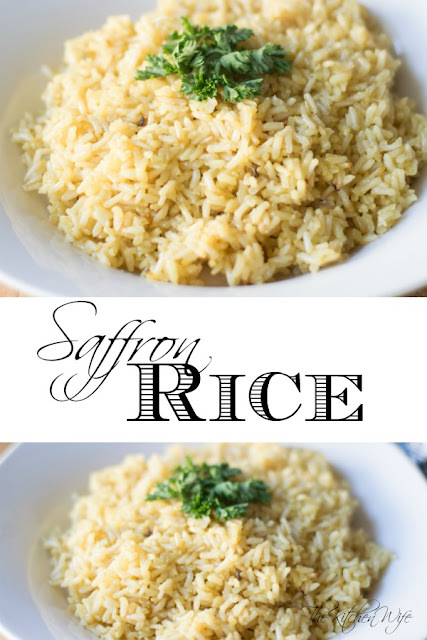 Place the rice, saffron, salt, pepper, and garlic powder in a pot. Cover and cook according to the directions on the packaging.